Also at the school fundraiser, I got a henna tattoo. I think it’s kind of fun that on my wrist it’s a little hard to tell what are henna dots and what are freckles. 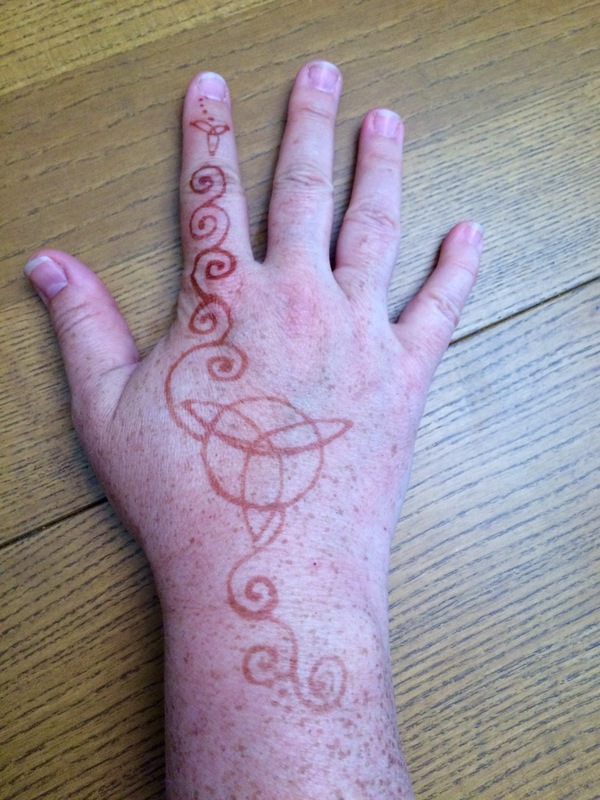 The henna took to the skin on my finger much more enthusiastically than it did to the skin on my hand/wrist.